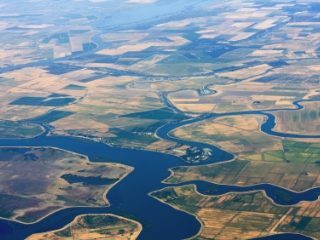 With a commitment to policies and planning that reduce the conversion of agricultural land and promote smart growth, Stanislaus County represents a success story in California farmland conservation. At the start of 2019, an AFT-led avoided farmland conversion goal is included in a state plan and Governor Newsom's proposed budget is underway. Learn about how these January happenings at the Capitol relate to our state policy priorities. It’s Official. Women for the Land Comes to California! Convening women landowners around conservation and community, AFT hosts its first Women for the Land learning circle in California. Sonoma County's 1978 General Plan was visionary at the time of its creation and continues to guide us today in values-based planning and policy. Learn about our current projects, see who's behind our work in California, and celebrate farmers markets with us. Despite the many challenges facing California's farmers, there is a reason for hope. Because of the efforts of AFT and many of our partners in across the state, important progress toward protecting California farmland for future generations was made In 2017. The devastation in Southern California is severe and still under assessment. Many of you have reached out to ask how you can help those affected. Here is a list of options that we will continue to update. Ultimately, celebrating World Soil Day is celebrating the stories of farmers and families that have undertaken significant efforts to increase on-farm conservation practices. AFT and partners invite you to attend on of our remaining interactive workshops to learn more about the Bay Area Greenprint. On October 3rd, California Governor Jerry Brown signed Senate Bill 732. The bill, sponsored and supported by AFT for the last six months, will help local communities plan for the future of agriculture as part of their General Plans.